Norrsköld is a young promising Swedish metal band that hast just released their first EP with 6 songs: Blessings of Winter. Behind the project there is the musical talent of Henrik Bodin, defining their style as “multimetal from the cold forests of Sweden”. The album starts like quite typically a black metal album would start, with strong drums in the opening “Night Crystals“. 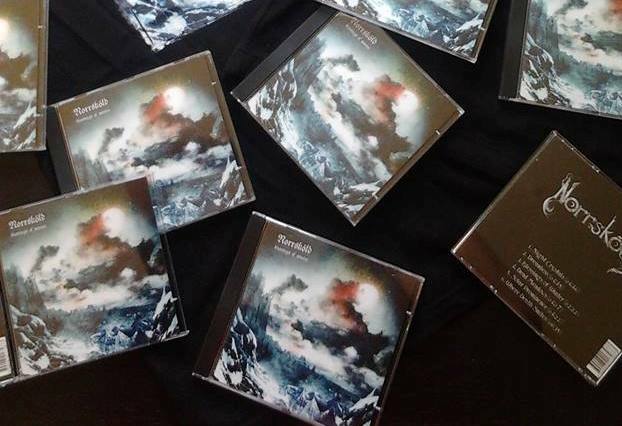 However, soon you realize that apart from the gutural deep voices that reminds you of many other nordic bands, the band has made a great effort to be also melodic and honor that title of “multimetal”. In fact, the EP really caught my attention when arriving to the 3rd acoustic song that gives title to the album “Blessings of Winter“. A beautiful piece of music played with an acoustic guitar. I found that piece of a bit more than 2 minutes a delicatessen for my ears, enjoying it the most together with the instrumental fifth track “Solar Prominence“, solid guitar riffs and a very powerful drumming running the show there!. I would resume the EP as a very good effort for the Swedish being their introductory album. In their Facebook page they announce that soon they will have their first completed album released, and I cannot wait to listen to it. I would prefer if they would focus a bit more on the instrumental/melodic side of their music, because I see a strong potential there. Sweden continues giving birth to awesome metal bands! Rating 4 out of 5.